U.K. BRACED FOR MORE CUT! Italian post-punks CUT have announced a UK tour plus a new single. The long-serving Bologna trio will contribute one side to a split split single alongside Turin’s MOVIE STAR JUNKIES on the splendidly-named Ancona label, Bloody Sound Fucktory. Cut’s track ‘Bad Chromosome’ features special guest MINUTEMEN and fIREHOSE bassist Mike Watt, who also contributed to the band’s most recent album Second Skin, released in 2017. 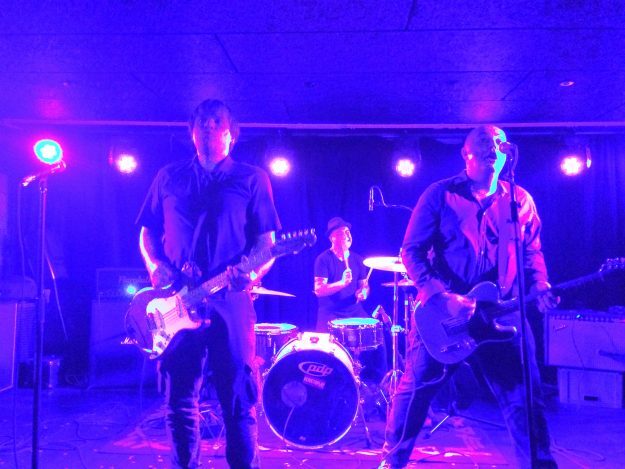 Formed in 1996, Cut have released six albums, including 2010’s Annihilation Road, recorded and mixed in New York with Matt Verta-Ray (Madder Rose, Speedball Baby, Heavy Trash) and mastered by Voidoids guitarist Ivan Julian. Since forming they’ve toured constantly throughout the UK, Europe and the USA, sharing stages with the likes of Iggy & The Stooges, Violent Femmes, Radio Birdman, The Jim Jones Revue, Royal Trux, The Hives, Mudhoney and loads more. In November last year, guitarist/vocalist Ferrucio Quercetti released his widely acclaimed debut solo album Almost Mine: The Unexpected Rise and Sudden Demise of Fernando (Part 1).